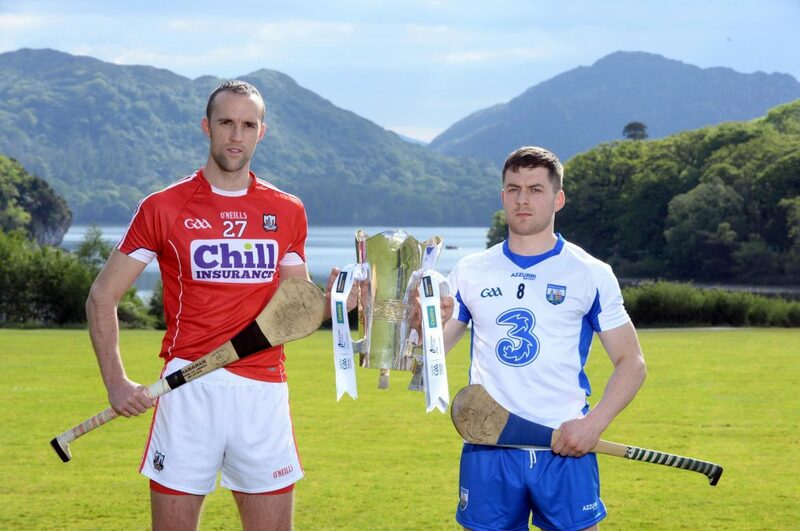 Cork’s Stephen McDonnell and Waterford’s Jamie Barron, pictured at the launch of the Munster Senior Hurling championships at Muckross House, Killarney recently. Photo: Don MacMonagle. Marty Morrissey dropped out to Jamie Barron’s homeplace in Ballymacarbry for a television piece prior to last year’s All-Ireland semi-final. At the height of the summer, the Fourmilewater midfielder had garnered acclaim for his ferocious endeavours through the league and championship. The RTÉ commentator accepted an invitation to return in early February for a celebration night at the community centre. The club had produced two All-Ireland under 21 medallists in Conor Gleeson and Dermot Ryan and its first All-Star all in the one year. At five foot and nine inches, Barron worms through the congestion. The 23 year old outperformed Michael Breen, Brendan Maher, Conor Fogarty and Kevin Moran to get on stage at the Convention Centre. It didn’t diminish his hunger over the winter. In round one of the league, TG4 co-commentator Donal O’Grady chose him as man of the match. Just another day at the office for Barron who supplied three points, won two frees and made 18 plays. If Barron’s growth continues skywards, Marty may be booked for a comeback gig.